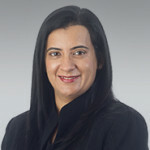 After spending considerable time last month in India, global business attorney and Kegler Brown’s Asia-Pacific Team Leader, Vinita Mehra will be sharing her experiences from her trip abroad. Joining Vinita on a panel discussion will be Hiten Shah, President and CEO of MES, Inc., and Joe Soldano, Director of Business Development at Worthington Energy Innovations, both of whom also recently returned from India. The three panelists will be providing an overview of the business landscape in India, and answering questions about new developments occurring in India and the opportunities that could arise for U.S. companies. Please join us starting at 11:30 a.m. for networking and an Indian lunch, catered by Amul India. The panel discussion will begin at 12:15 p.m. Please RSVP by Monday, February 27, by contacting Maura Fortino at [email protected] or (614) 255-5515. If you cannot make it into the office, we will also be offering a livestream of the discussion. We will send you the link the day before.